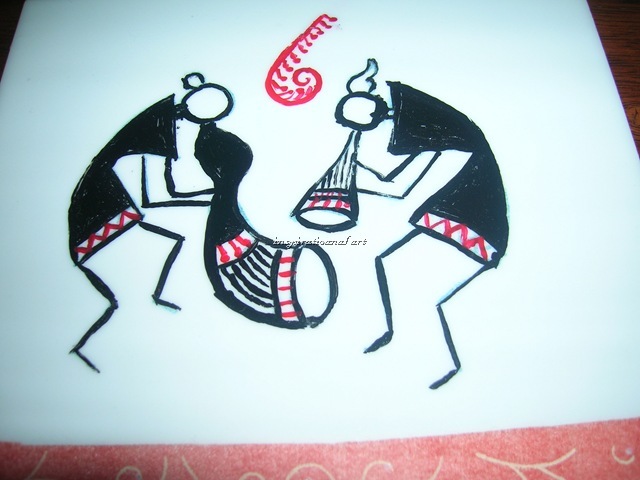 Posted by preeta pillai in Warli painting. 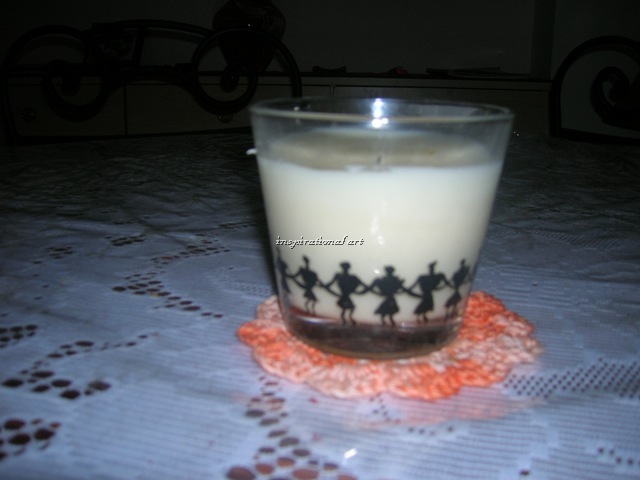 I tried doing warli on a perfumed glass candle, and I was quite impressed with the result. Though here I have not used glass paints since I dint have it with me. But this one is done using acrylic paints. It would look better using glass paints. 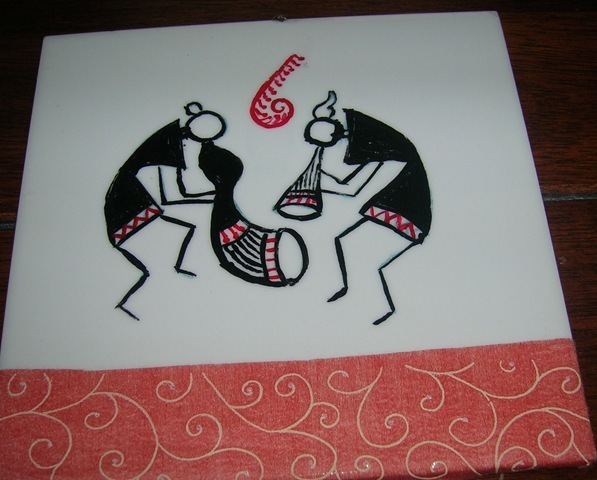 The next one is done on a tile. It can be used as a wall hanging. All these are my trial versions. Slowly as I get used to doing more of these, I am sure each one will turn out better and better. 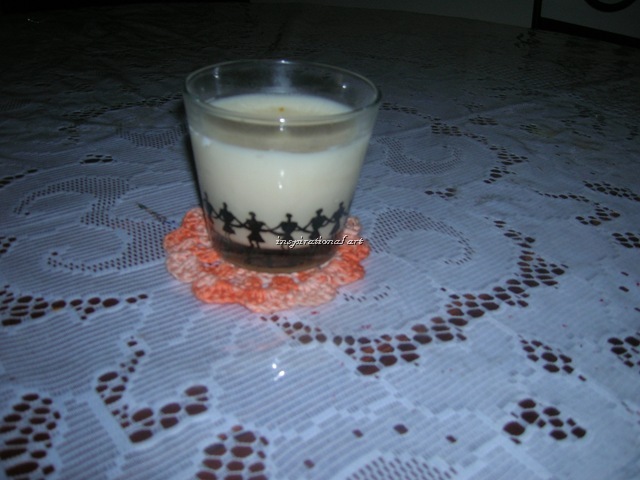 The above pattern is from an invitation card, that I saw on the net. wow…that looks nice …you are getting used to blogging….